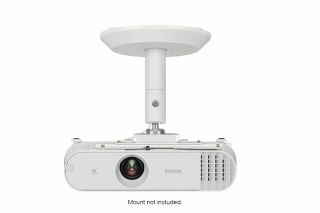 Epson today announced its new PowerLite® U50 WUXGA 3LCD projector – an ultra-bright classroom projector that offers up to 10,000 hours of lamp life in Normal Mode and features 3,600 lumens of color brightness and 3,600 lumens of white brightness, plus WUXGA resolution. The projector offers enterprise-level security via integrated wireless networking, and teachers can wirelessly share content simultaneously from multiple devices. Epson’s PowerLite U50 and other education solutions will be on display at FETC 2019 in Orlando, Florida from Jan. 27-30 at Epson’s booth, #1417. The Epson PowerLite U50 will be available in August through national resellers, pro audio/visual dealers, mail order, distribution, Epson.com, and the Brighter Futures program. Epson PowerLite projectors come with a two-year limited warranty (three years for Brighter Futures customers) that includes technical support services. For additional information, visit: www.epson.com/education.